How to watch Fantastic Beasts and Where To Find Them (2016) on Netflix USA! Sorry, Fantastic Beasts and Where To Find Them is not available on American Netflix, but you can unlock it right now in the USA and start watching! With a few simple steps you can change your Netflix region to a country like Hong Kong and start watching Hong Kongese Netflix, which includes Fantastic Beasts and Where To Find Them. We'll keep checking Netflix USA for Fantastic Beasts and Where To Find Them, and this page will be updated with any changes. 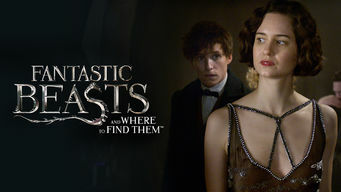 Fantastic Beasts and Where To Find Them is not available in USA BUT it can be unlocked and viewed! While visiting New York in 1926, the courageous and eccentric wizard Newt Scamander uncovers a sinister plot that threatens the wizarding community. Long before Harry Potter came to Hogwarts, an adventurous "magizoologist" paid the Big Apple a visit. There is a way to watch Fantastic Beasts and Where To Find Them in the USA, even though it isn't currently available on Netflix locally. What you need is a system that lets you change your Netflix country. With a few simple steps you can be watching Fantastic Beasts and Where To Find Them and thousands of other titles!